In registering for a trademark, it is imperative that you have a lawyer or a consultant who can guide you in the step-by-step process of trademark registration in Dubai. Understanding the law regarding trademark is essential as well since this is a legal matter that should be taken seriously. One cannot simply have his intellectual property be a registered trademark whenever he wants to. It needs to be verified as an original creation and not a copy of somebody else’s since trademark infringement can happen unconsciously. In the UAE, a trademark search should be done before the application is even forward to the concerned Dubai trademark registration office authority. It needs to be verified as an original creation and not a copy of somebody else’s since trademark infringement can happen unconsciously. In the UAE, trademark search should be done before the application is even forward to the concerned Dubai trademark registration office authority. There are a couple of things that can be registered as a trademark. A trademark symbol can also be other things, such as a name, word, signature, letter, figure, drawing, title, tax stamp, seal, image, inscription, advertisement, pack, wrapper, packaging labels, tagline, or any other combination that is intended to be used for the same commercial purpose of a business to have their goods and services be identified in the industry. A trademark can be any distinctive marking, which can even include the shape and color of goods. It is highly advisable that when registering a trademark, it should be distinctive to what the goods and services are being offered to the consumers. There is more ease in registering the kinds of trademark that are easily associated with the company’s goods and services. Besides, when trademarks are distinctive, it can be easily remembered by the consumers in the market. With the use of a trademark, the owners’ goods and services are distinguished from its competitors in the market, which is one of the reasons why a distinctive trademark is important. It represents the whole company and the owner himself, and careful checking should be done before opting to registering a trademark. In the UAE, a registered trademark will be legally protected for 10 years from the date of its official registration. After 10 years, if the owner wishes for further extension for it to be kept operational, additional official fees are to be paid to the UAE Ministry of Economy. When the renewal is not done as soon as possible, there will still be a grace period of three months. It should also be noted that a registered trademark can be requested to be canceled by any interested party if the said trademark is not used for five consecutive years in the UAE from the date of its registration. As one of the top companies that offer trademark registration services in the UAE, Farahat & Co. ensures that you are well aware of the process of trademark registration in Dubai (or wherever you may be situated in the country) and what comes with having intellectual property rights. We make certain that your intellectual property adheres with the law, and we also do research to be sure that you have an original trademark symbol, trademark logo, trademark sign, etc. with you. We have been working with companies for more than 30 years, dealing with intellectual property among other services that we are specialist in, such as looking into your company documents and activities to uncover fraud since we are a certified fraud examiner and we take care of an organization’s need to wind-up or process the deregistration of company. Our team also has some of the prime CPAs in Dubai who handle our consultation and processing of the upcoming VAT in UAE. Our accountants deal with the accounting needs of firms with our bookkeeping and accounting services in Dubai and even their needs when it comes to managing their HR duties with our payroll and HR solutions service. These accountants also work closely with our auditors for Owners Association in Dubai and perform as well in our project developers audit that businessmen need as we are also one of the leading auditing firms in Dubai. 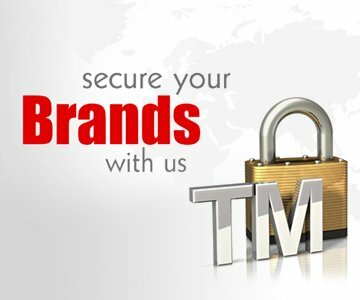 We have guided businessmen in their needs when it comes to trademark registration in Dubai. The best quality service we always provide our clients will assure you that we know exactly who the right people are who should receive your application. With this, you will only need to sit back and wait for the whole process to be finished by us. There are a couple of things that can be registered as a trademark. 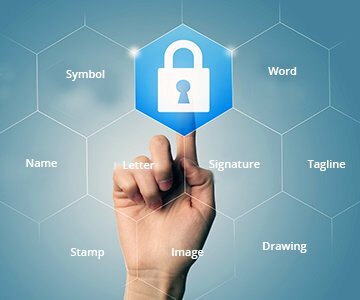 A trademark symbol can also be other things, such as a name, word, signature, letter, figure, drawing, title, tax stamp, seal, image, inscription, advertisement, pack, wrapper, packaging labels, tagline, or any other combination that is intended to be used for the same commercial purpose of a business to have their goods and services be identified in the industry. A trademark can be any distinctive marking, which can even include the shape and colour of goods. It is highly advisable that when registering a trademark, it should be distinctive to what the goods and services are being offered to the consumers. There is more ease in registering the kinds of trademark that are easily associated to the company’s goods and services. Besides, when trademarks are distinctive, it can be easily remembered by the consumers in the market. With the use of trademark, the owners’ goods and services are distinguished from its competitors in the market, which is one of the reasons why a distinctive trademark is important. It represents the whole company and the owner himself, and careful checking should be done before opting to registering a trademark. When the renewal is not done as soon as possible, there will still be a grace period of three months. It should also be noted that a registered trademark can be requested to be cancelled by any interested party if the said trademark is not used for five consecutive years in the UAE from the date of its registration. As one of the top companies that offer trademark registration services in the UAE, Farahat & Co. ensures that you are well aware of the process of trademark registration in Dubai (or wherever you may be situated in the country) and what comes with having intellectual property rights. We make certain that your intellectual property adheres with the law, and we also do a research to be sure that you have an original trademark symbol, trademark logo, trademark sign, etc. with you. 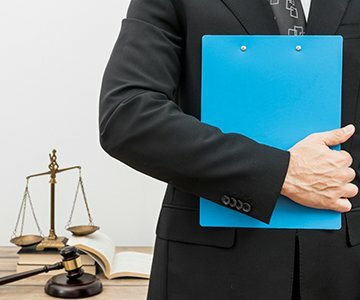 We have been working with companies for more than 30 years, dealing with intellectual property among other services that we are specialist in, such as looking into your company documents and activities to uncover fraud since we are a certified fraud examiner and we take care of an organization’s need to wind-up or process the deregistration of company. Our team also has some of the prime CPAs in Dubai who handle our consultation and processing of the upcoming VAT in UAE. Our accountants deal with the accounting needs of firms with our bookkeeping and accounting services in Dubai and even their needs when it comes to managing their HR duties with our payroll and HR solutions service. These accountants also work closely with our auditors for Owners Association in Dubai and perform as well in our project developers audit that businessmen need as we are also one of the leading auditing firms in Dubai. Legal translation of the wording which might be included in your trademark. We require the translation from your language of origin to English. The translation from English to Arabic will be handled by FAR – Farhat Office & Co. through a locally regulated legal translator in the UAE as FAR – Farahat & Co. is not a legal translator. An application with all the required documents, including the image of the targeted trademarks, will be filed, and the fees must be paid. The Trademark Registrar Office will publish your application to register the trademark in two local newspapers. Any interested party may file a notice of opposition to the registered trademark within 30 days from the date of publication. The Registrar’s decision about the opposition may be appealed to at the ministry committee, and the committee’s decision may be appealed to in the competent court. In case of no opposition is lodged within the time limit above, a trademark will be registered and a certificate of registration will be issued.